Some of you are Glock owners and some of you own Smith & Wesson M&P series pistols. A couple of members are about to make their first handgun purchase and have asked my opinion as to which they should buy. I’m a Glock guy, but only because I owned Glocks before the M&P line of handguns was introduced. If for some reason all of my Glocks were to disappear (fire, tornado, etc.) and I had an insurance check to replace them, I’m not sure which I would buy. 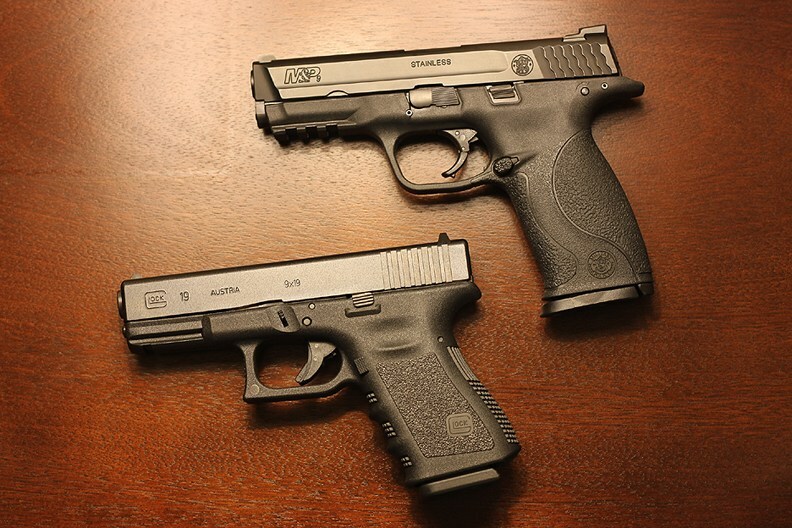 Both are fantastic pistols that are used by law enforcement and military all over the world. These are some great YouTube videos comparing the Glock and the Smith & Wesson M&P series of handguns. All of the videos compare the full size models, except for the last video that compares the compact version of each type. The following videos compare the two types of handguns. For individual reviews be sure to visit Savannah Arsenal’s Semi-Automatic Handgun page.